16 never officially released tracks originally performed by his band at the time "JOE COOL". The influences of Deep Purple, Rainbow etc are never far away while neoclassical and progressive influences add spice to some of the more straight ahead rock material on this release which arguably is Lars best sounding album to date. These songs represent Lars’ first serious compositions made for and originally performed by his band at the time, ”Joe Cool” which originally featured a female singer, later a male one when the band started adaping a more straight ahead hard rock style. A few minor updates to the lyrics and music were made during the recording but mostly this is what they were like originally. 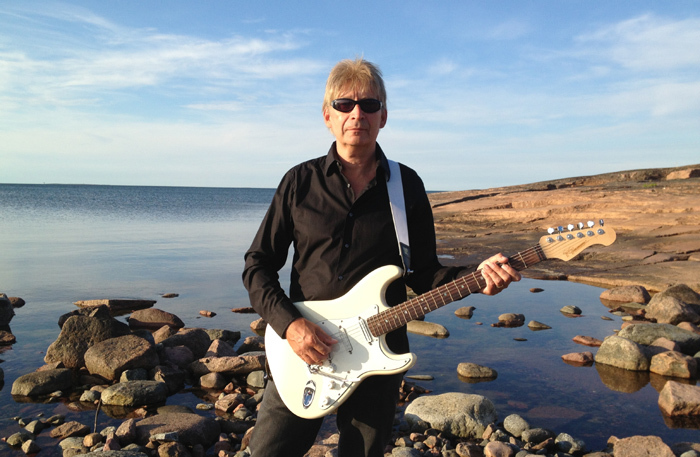 Original drummer Olle Sjöstrand’s fine ideas have remained as an inspiration throughout the years. Some of the songs on Lars’ debut album ”Eternity” were take from this period though most of that album and the following ”No Surrender” were written very fast in the studio while making those album and it is quite likely that these songs are superior having been road tested and developed over time while Lars was sick of them at the time and preferred not to include them on his debut and the following album. Lars recalls that going back to these songs was a decision made alrealy 6 years ago, but time did not permit this to happen sooner. So here they are, 30 years later! The lyrics are not always to be taken too seriously while some of them had to be editied for this release. The song ”Takes One Fool” written in 1983 originally suggested that we world would go under in 1984. Lars played almost exclusively Fender Stratocasters through Soldano amplification with almost no pedals (just a phaser on a few rare spots) on this recording. The Bass was performed on an early 70-ies Rickenbacker and besides the Hammond organ there are very little keyboards on this album. The last tracks was played on a fretless Bass Maniac bass and a no name acoustic nylon string. (Originally this was a piano ballad). 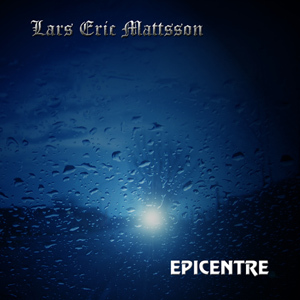 LARS ERIC MATTSSON - HOT AND ABLE SEES DIGITAL RELEASE VIA LION MUSIC ON 20 JUNE 2014. Just a simple rock track with lyrics that go with that:-) This one is from 1984 and was quite a live favourite back in the day. Originally the rempo was a bit faster but Lars felt this version is better. Originally a song influenced by an Orson Welles novel predicting that the world would go under in 1984 this song more epic song was written in 1983 but for this release the lyrics have been partially rewritten. This is one of the longer and more progressive tunes from this era. The Purple influeces are not too far away on this funky tune with it's odd meter mid riff section. A bluesy track that has been updated with a somewhat cooler main riff. This one is Lars' personal favourite on this album. Starting off with a simple but cool Blackmore influenced riff that originally was running much longer and a solo section that oozes neoclassical this one was a real favourite back in the day. This one has been re-arranged quite a lot since the original version which did not have the same cool rhythm guitar riffs. Neoclassical, slow and heavy track with lyrics that should not be taken very seriously. One of the first songs Lars wrote, the lyics won't bring him any awards but then again this one should not be taken too seriously! A progressive and somewhat epic anti war song that was one of the real favourites live. Written for the stage this rocker should not be tarken too seriously. The track mixes simple rock and roll with a few unusual chords and odd beat riffing in a weird but fun way. Written in 1984 this track mixes traditional heavy metal with neoclassical in a way that was quite unique back in the day. One of the first songs Lars wrote in 1983 and one of the first performed by "Joe Cool". Perhaps a bit naive, but never the less an anti nuclear weapon / arms race song. Musically this one has stood the test of time very well. Typical early 80-ies track with some neoclassical touches. The lyrics were reworked for this release to make it clear that this song is about not accepting intolerance. Originally a piano ballad, Lars here decided to rearrange it for acoustic nylon string guitars with a slight jazz feel. Lars Eric Mattsson - All vocals, guitars, bass. Alexander King - Hammond Organ. Composed 1983-85 and Recorded and mixed at the New Lion’s Cage March-April 2014.